I get down on my knees and give my four-year-old a hug. When my kids initiate interactions like this, I breathe a deep sigh of relief knowing that they are learning to identify feelings and be sensitive to them as well. I will admit it: there are often high emotions in my household. My kids have varying personalities (one is more prone to anger while another prone to sadness) and I wouldn’t say that I’m the least emotional of the bunch either. So we talk about emotions. A lot. Life can be tough but isn’t it so much nicer when those around you are being sensitive to each other? Helping my kids learn this skill is one of my highest priorities as a parent. Knowing how to describe your feelings is an important part of developing self-awareness and therefore self-care. And learning how to be sensitive to the emotions of others allows you to develop deep and respectful relationships. We don’t need to run away when we experience strong emotions after all. Identifying, talking through them, and working things out is part of a well-balanced life. I have done a lot of activities and discussions about feelings and emotions with the kids over the past few years. Below are five favourites that will only a few minutes each. They can lead to short-and-sweet or long-and-meaningful conversations, depending on the attention and developmental stage of your child. 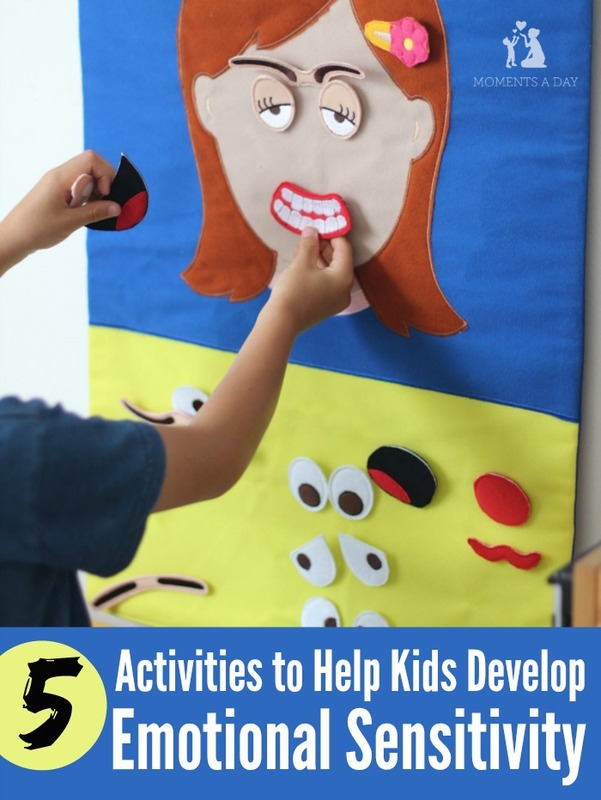 We used the Miss Face Felt Activity Kit to make these activities hands-on and fun. I love how many pieces it has to explore the different variations of the face. In fact, before we played with it, I had not really realised how important eye brow shapes were in representing different feelings! 1) Ask your child how they feel at the moment. Label the emotion. 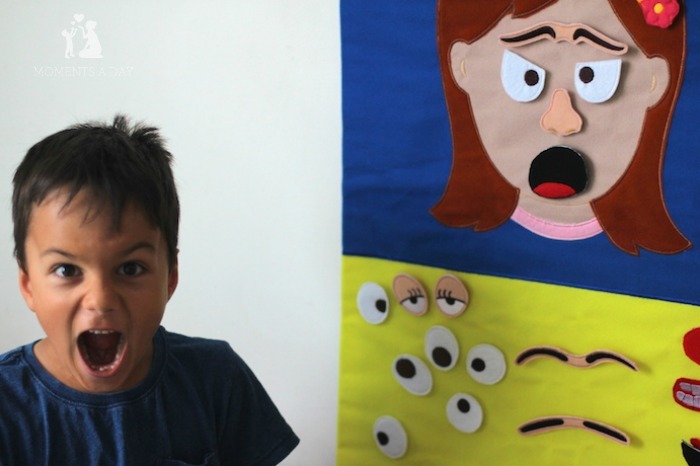 Ask your child to create that face using a felt kit or by drawing. Talk about why they are experiencing this particular emotion and what happened during the day to bring it on. If their emotion requires special sensitivity (such as anger, frustration, sadness, or confusion) ask them how someone could help them work through it. Some suggestions may include getting a hug, having some quiet time, talking things over with a loved one, or exercising. There are some other ideas in this post. What would have made you feel better? How could you ask for help next time? If your brother was feeling this way, what would you have done to help? 3) Ask your child how they would feel in a pretend situation (or a few). Here are some examples: if you trip over a stick in the playground, if you open your lunchbox and your sandwich is soggy, if your sister doesn’t want to play with you. Try to make the situations interesting by including some that are realistic and some that are totally crazy (like you won a chance to fly on a rocket to the moon or were served flies on your pizza). 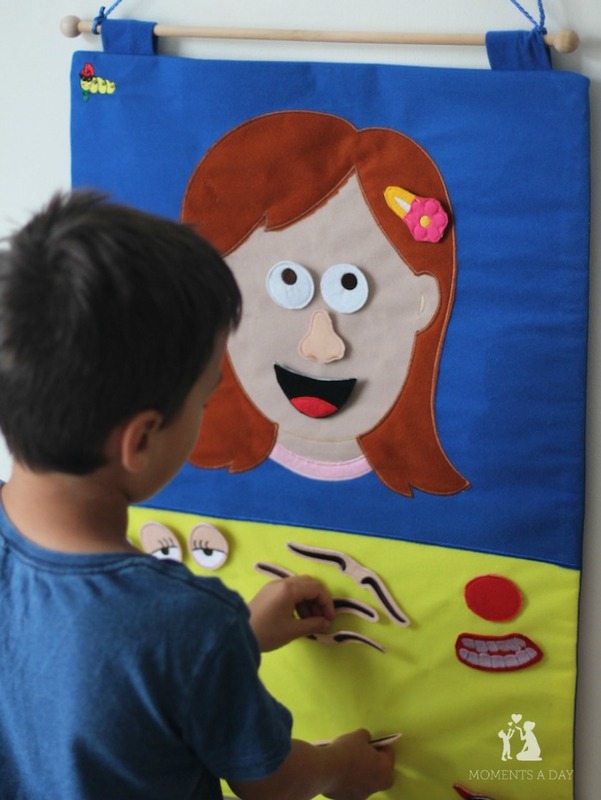 4) Now it’s your turn to create a face with the felt or on paper. Ask your child to identify it. Then talk about what may have happened to stir that emotion. 5) Lastly, explore the emotions with your actual face. Go through some of the scenarios you discussed and show a face that represents the feelings involved in the situation. You may like to take turns making faces and then responding to them. For example, your child makes an angry face. You might say, “You look angry to me! Is there anything I can do to help you? Would you like a hug?” This role play can offer a safe environment to practice healthy responses to emotion as well as explore new ways to address strong emotions. Find out how your child would like you to respond when they feel different emotions and you can tell them the same! Helping kids develop emotional sensitivity is an important step to fostering empathy. If you have other ways to explore emotions with your kids, feel free to share your ideas in the comment section below! 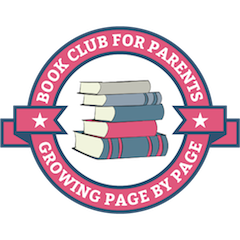 You can find more character building activities on this page. 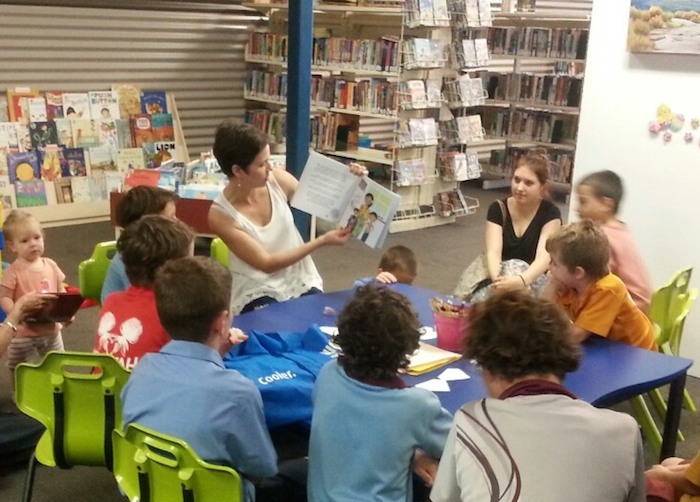 Thanks to Child.com.au for sponsoring this post as well as my visits to 10 schools and libraries around Australia to read my storybook Mason’s Greatest Gems. This book gives parents and teachers a hands-on analogy about what it means to “mine your inner gems” and develop virtues. Character building activities such as the ones described in this post can work beautifully together with this book. Child.com.au has given each institution I visit a $100 voucher to use on educational materials for their students. They offer a great range of materials from imaginative toys to math games to science kits and more. The tools to learn about emotions featured in this post are available on their website along with many other social and emotional learning resources. This month I was excited to do my second public reading at Longreach Library in the north western region of outback Queensland. 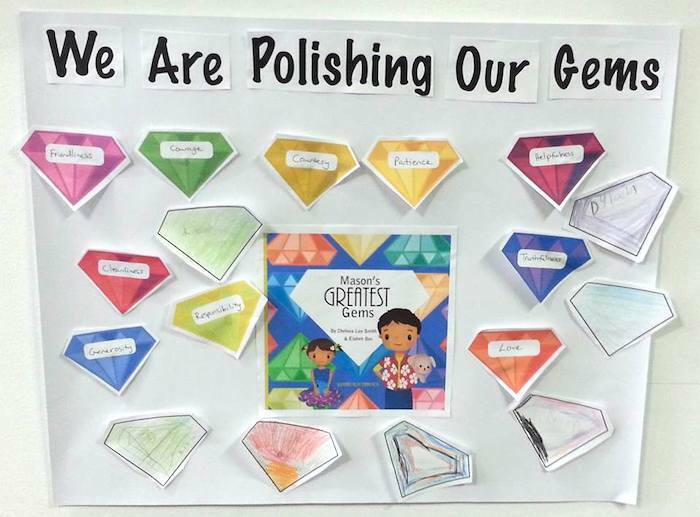 After reading the book, we played a matching game with gems I had cut out and labeled with the virtues from the Finish the Sentence printable available on this page. Then we decorated our own gems. I’m loving all the photos coming in from families around the world using Mason’s Greatest Gems in their homes and classrooms. You can see some of them featured on Instagram. If you have another suggestion for teaching kids how to develop sensitivity to emotions, please leave it below! Thank you to Child.com.au for sponsoring this post. All opinions are my own. To read more about reviews on my website, visit this page. So wonderful and making such a difference as you travel. Hi – did you photocopy the gem pictures from the book to stick on the image? If not, where did you source the pictures? I’d love to do this with my class. Hi Kathryn I’m so glad you would like to use the gem pictures, they were a lot of fun! I’ve emailed Elaheh the illustrator who created these images and will be in touch with details about how you can get ahold of them soon. Thanks. I just got the book and am going to use it with my own boys and also read it to children in my Relax Kids classes. I just love the concept, plus my oldest is into Minecraft and Gems in general, so he will love this! Hi Kathryn! Elaheh has uploaded the gems onto her site so you can get them there 🙂 http://www.plantlovegrow.com/masons-greatest-gems.html We would love to hear how the activity goes, so excited the idea resonates!